The ultimate multi-purpose oil to meet all your skin’s needs! This blend of 27 botanical oils works to moisturize, nourish, smooth, regenerate, regulate…and so much more. Use day and/or night, all year round. By buying this product you can collect up to 20 loyalty points. Your cart will total 20 loyalty points that can be converted into a voucher of 1,40 €. 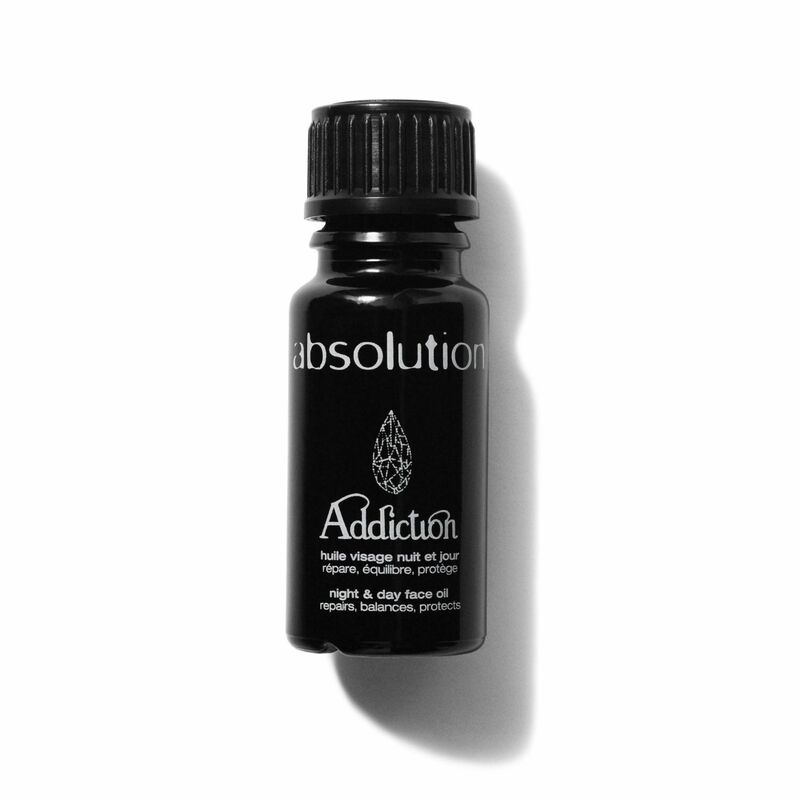 The Addiction oil gently cares for your skin by providing it with all the nutrients it needs for its balance and beauty. Dryness, irritations, discomfort, lack of radiance… This does-it-all formula can be used all year round, day and night, whenever you want! Offering a non-oily texture, delicious scent and visible results, it's easy to understand why we love it so much! Dispense three drops into the palm of your hand, then rub your hands together to bring out the scents. Breathe in deeply to enjoy the benefits of the essential oils, then apply with upward smoothing strokes on slightly damp skin. You can then apply your face cream – or not! It's up to you. You could also add two drops of Addiction to your usual cream to boost its effects.